New employees just aren't passionate and informative. I don't go here anymore. It used to be fun chatting here and now people are awkward. I miss the old faces. We're sorry that it's not all the same crew but, please, we invite you back to see just how much we've improved. I'm sure if you give us another shot you'll find that our crew is much more knowledgeable and far more comfortable with the products and the environment. Our customer relationships are our number one priority, if you feel like something could be improved, please let our crew or managers know. Unknowledgeable employees - High prices. This is my usual go-to store when I do not feel like traveling to Salem. 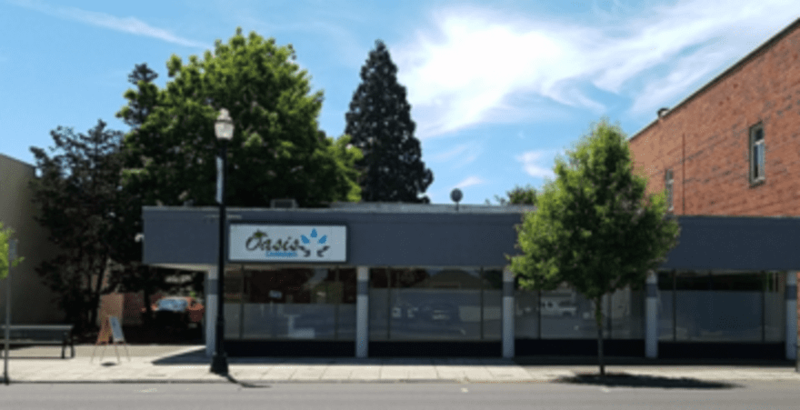 However I will no longer visit Oasis due to the fact the new employees are unknowledgeable on product and Oregon laws. I was told I could not purchase from Oasis after showing my US Passport Card, the budtender claimed it was not a valid form of ID. I contested this statement and told her I come here all the time and use my Passport Card at other shops with no issues. The argument continued and would still not allow me to purchase. I took my business to OG where they happily helped me out. I recommend staying away from Oasis, they charge high prices since their isn't much competition in the small town, and they do not train their employees properly. How embarrassing it was to be kicked out even though I could legally be there. Unfortunately I can't say I will ever return to Oasis. Take your business to a shop that cares about you and doesn't try to act smarter than they actually are. We apologize that you had a negative experience in our shop and are very sorry that you still feel this way. Our Budtender had asked you to wait while she could verify if it was a valid ID, you were not denied service until you raised your voice and were extremely disrespectful to her. We understand that ID validation can be frustrating, however the State of Oregon has a very strict policy on Age Validation and we must meet all regulations set down for us. As Monmouth's community shop our customers mean everything to us, with that being said, we cannot allow our other customers and staff to be subjected to aggressive behavior. My preferred spot in the valley. Excellent variety of flower at a low price. Sometimes they have $50 ounces of flower that are top-shelf quality. Bud tenders here care enough to minimize the amount of stems in your flower purchases, while also selecting the most preferable nugs from the jar. Also, edibles here are delicious. Try the almond truffles or the Wyld gummies and you won’t be disappointed. Friendly service, and a welcoming atmosphere. Oasis is the spot for a positive cannabis buying experience. Thank you for your awesome review! We appreciate that you choose us! Cool, knowledgeable people. Awesome products. Thank you so much for the kind comments! Your input and business are greatly appreciated! That's very disappointing to hear. I'm sorry your experience here was misleading. Returns and refunds can only be made with a receipt and an unused or obviously faulty product. We would love for you to come in and tell us about the product you purchased and how we can make it up to you so we can prevent this happening again. We want you to be safe and use safely. I just love coming here out of every other dispensary in Oregon. I've been able to try most if not all of them between Portland and Monmouth and I'm the most appreciative and pleased with the quality of medicine and the beautiful people making sure to meet my medicinal needs. They are each wonderful and so welcoming. I seriously will go out of my way to come here instead of the multiple other shops. I encourage everyone to visit and shop here, you won't be disappointed. Quality products that are only outshined by the service provided from the Budtenders. Gordon and Holly have provided me with superb customer service and excellent recommendations each time I have visited. 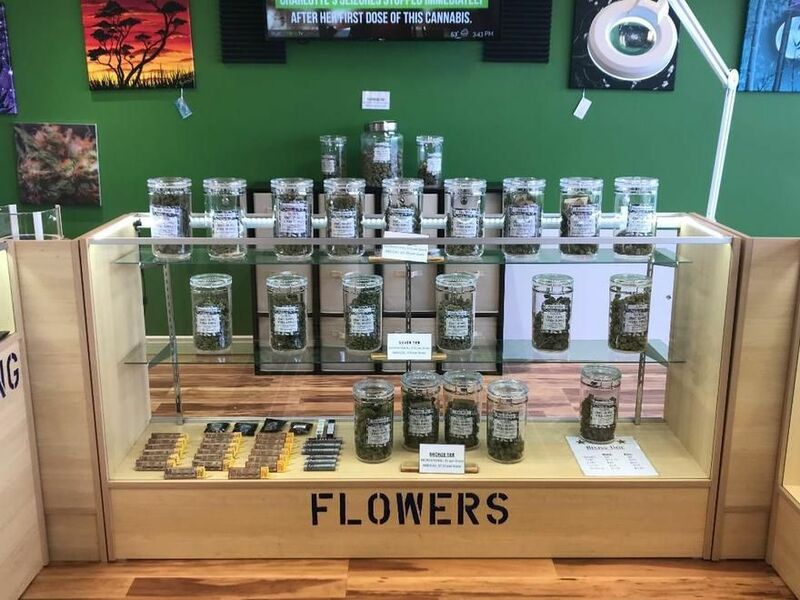 The manager, Matthew always has top tier products on hand that will rival any dispensary in the Salem/Monmouth/Indepdence area in quality AND price. Even though I live in Salem, I work in Independence and will always go out of my way to stop here after work rather than a shop in Salem. Thank you so much. We will try and always meet the needs of the customers in the community. You rock socks! Great store with friendly, passionate, and knowledgeable employees. Their products are easily the best in Monmouth. Thank you so much for your review! You are awesome!